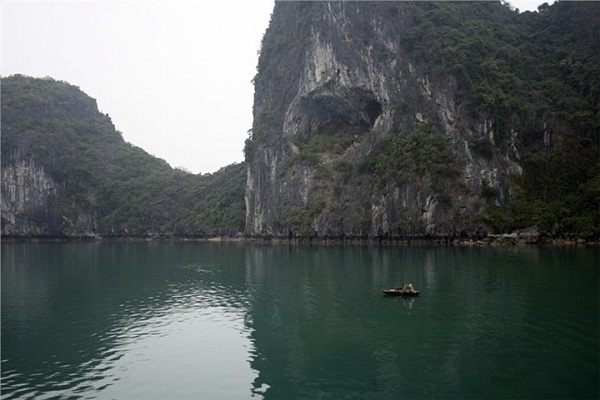 About 25 kilometres to the southeast of Bai Chay tourist harbor is situated Ba Ham Lake, a magnificent place which is missed by almost every tourist to Halong Bay. On your trip through the tunnel, you will be irresistibly drawn to a cluster of spectacular and colourful stalactites hanging from the ceiling in a myriad of distinctive shapes. 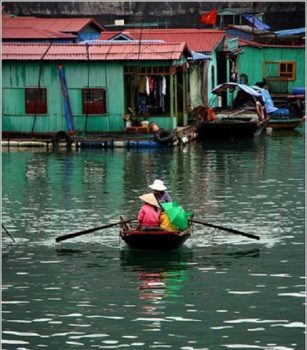 Any noises from outside can hardly penetrate into Ba Ham Lake thanks to its location and topographical features, which renders the lake extremely tranquil. The silence is just interrupted by the faint sound from the boat’s oar. 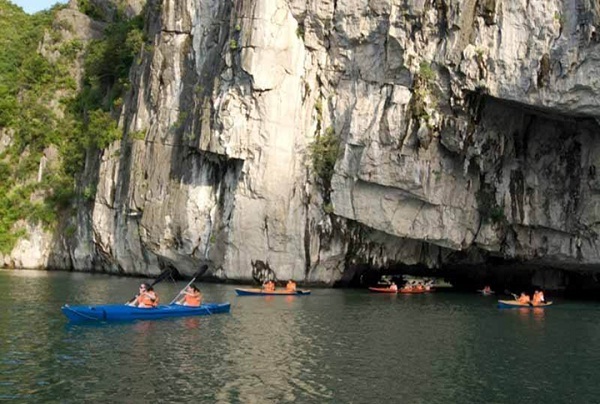 The natural scene that you see from boat sailing around the lake is the perfect combination of the emerald clear water, the bright sky and various forms of rocks. 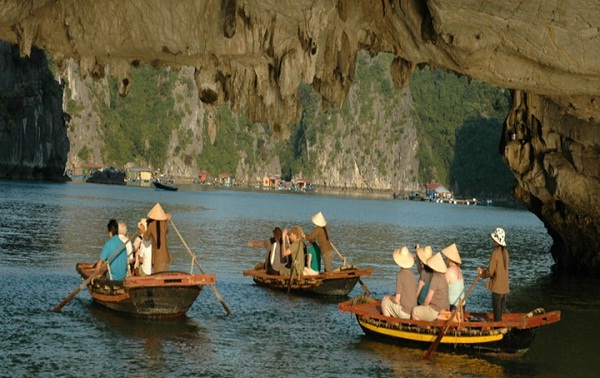 To discover the allure of Ba Ham Lake, you can just use bamboo boats or kayaks. 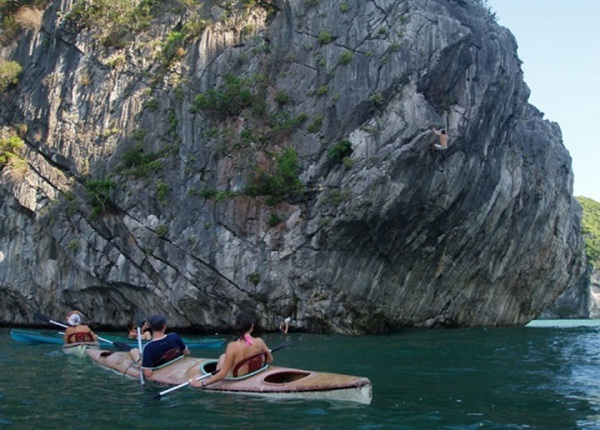 However, you have to wait until the tide recedes to enter the cave.